Chances are that if you're from Boston then you may have a little Irish in you. And if it's St. Paddy's Day then everyone is Irish! So pucker up and show off your Irish pride with this wicked awesome design. The city of Boston is packed with rich history, diverse people, and beautiful landscapes. With so much to do and so much to see, it’s no wonder so many people love the region. The sports, food, geography, and lifestyle are just a few of the reasons people have so much pride here. Boston also has a long-standing culture and strong Irish roots. Nearly a quarter of all Bostonians claim a connection to Ireland, making St. Patrick’s Day a beloved holiday in Boston. You don’t have to be Irish to appreciate this classicclover tee. Represent that Boston pride and passion by wearing this comfortable and breathable tee any day of the year. Enjoy the high-fives that come as you encounter those with the same interests. Our shirts are made with high-quality materials to ensure a comfortable, breathable, and flattering fit. We use 100% cotton or a cotton-poly blend. This classic green shirt features a clover and the words “Kiss Me I’m From Boston” in bold lettering. 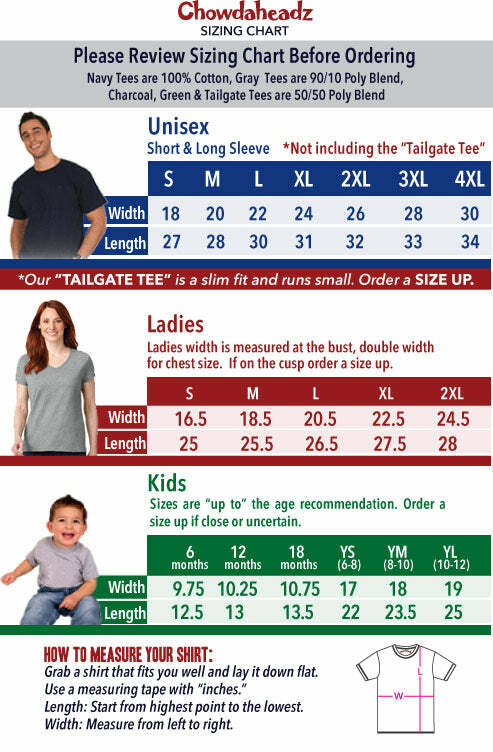 These shirts come inadultsizes ranging fromsmallto4XL. You canwearour shirts as agood luck charm at the next football game, your family reunion, or atwork on St. Patrick’s Day. If you enjoy living in Boston,going barhopping on the weekends, or visiting your localpub, this is the shirt for you. Chowdaheadz is a company that is owned and operated by passionate New Englandfans and residents and has 15 years of experience bringing youtop-notch New England–inspiredapparel. We love our region and strive to help others sport their pride as well. We work to ensure that you get thebestcustomer service possible. No matter where you are in the world, show everyone how much you love New England with your new Chowdaheadz apparel!